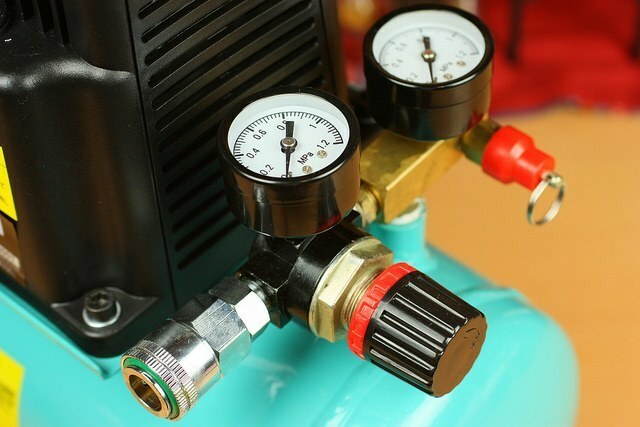 Need to know how to use an air compressor? Once you know how to use an air compressor, you can inflate a tire, spray paint and even attach a pressure washer to quickly and effectively clean patios, pavements or homes. It’s important to note, however, that using an air compressor is not as simple as plugging it in and turning it on. There are several steps that you'll have to take to ensure that the unit is correctly connected and functioning like it should. For every use, you will need to check the settings on your compressor and make sure that the tank has plenty of oil. Proper use maintenance of your air compressor will keep you safe and extend the lifetime of this equipment. Whenever you use power tools, you should be wearing safety goggles. You can put these on after you assemble your compressor, but be sure to keep them on hand. Once your unit is plugged in, turned on and connected to other equipment, your eyes need to be protected. Assemble your air compressor according to the instructions that came with your unit. It's always best to follow the assembly instructions that are provided in the air compressor manual given that these instructions can change from one manufacturer and model to the next. Once the assembly is complete, connect the compressor hose to the regulator valve. If the oil is below the fill line, add more to bring it up to an acceptable level. This will prevent undue wear and tear on the internal components so that your unit does not break down. Limiting heat and friction by adding sufficient oil will also keep the unit functioning efficiently. Just like you would treat your car - check and top up the oil often. The next step is to connect your air compressor to the power supply. You will also need to check the relief valve. Your compressor should be plugged into a three-pronged outlet that's grounded. The relief valve for the system should be set correctly before the unit is actually turned on. Check your manual to learn more about the proper relief valve settings for your air compressor. Once the unit has been assembled, oil levels have been checked and the relief valve settings corrected, put your safety goggles on and start the compressor up. This will pump up the tank. You should then close the valve on the tank drain.After you have taken all of these steps, you can connect your power tool to the compressor hose. The compressor settings will need to be adjusted to the needs of your project and the type of power tools you are using. There is usually information on this in the product manual and in the manuals for individual power tools. 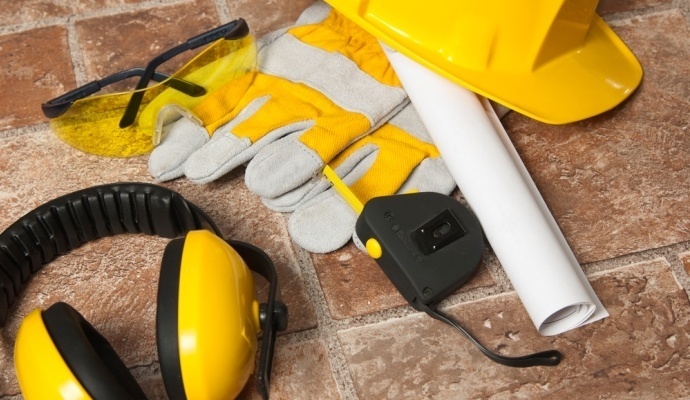 You will need to repeat this step each time you use your unit in order to avoid safety issues. So now that you know how to use a compressor, you can get out there and start putting yours to use. If you don’t yet have a compressor read our air compressor reviews and start on the right foot.